Made of Brass. 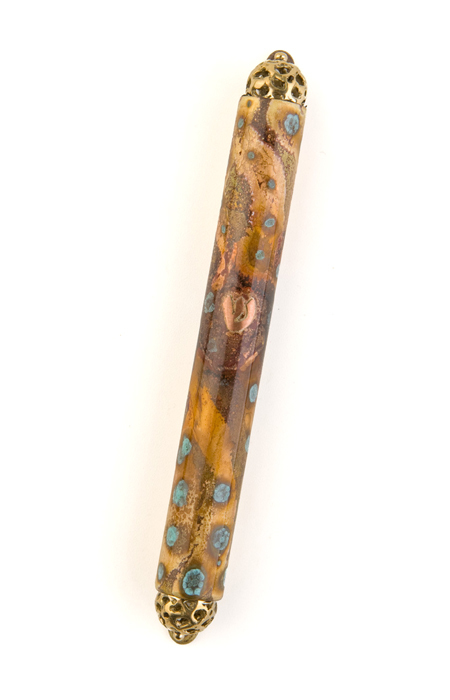 Decorated by strong fire stains (heating the metal in high temps and the natural colors of the metal come out) with touches of nitrite (that give the metal the turqoise color). The ''Shin'' is made of copper.All items are covered by lacquer to protect the work.